Many believe that our youth of today are the building blocks of a nation in years to come. In order to have a good and strong foundation to be effective leaders and citizens someday, ONE Bantamweight World Champion Kevin “The Silencer” Belingon supports programs for youth empowerment, training, and advocacy especially in sports. “We join outreach programs in Baguio City. I particularly enjoy working with and encouraging youth to gravitate towards sports, rather than to vices,” he stated. “I remember when I first discovered martial arts and fell in love with it. It completely changed my life and led me down a path of continuous self-improvement. I want every kid to have that experience and to have that opportunity, especially the less fortunate. Belingon always had a desire to unite his countrymen and help create a better future for his people. The 31-year-old Filipino spitfire feels it is his obligation as a World Champion and a national sports icon to guide them towards a path of success. “Whenever I see the look in children’s eyes, the innocence, it gives me a sense of responsibility to protect that innocence, and help teach them good values,” Belingon said. 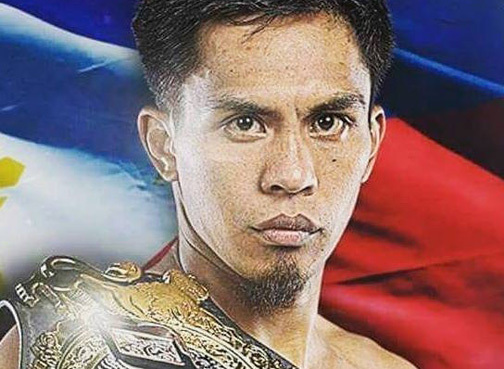 While his incredible exploits on the ONE Championship stage made him the superstar that he is today, Belingon pointed out that the values that martial arts promotes should be the ones credited to where he is at. “You always see us training very hard in the gym and working tirelessly to become the fighters we are today. But there is so much more to martial arts than just fighting,” he stressed.